What would you do if someone murdered your child, but the justice system let you down? Kathryn Walters is faced with this dreadful decision when her daughter, Shelley, is found dead in a bath in her boyfriend’s flat. Despite the best efforts of the Crown Prosecution barrister, Sarah Newby, it seems likely that the boyfriend, David Kidd, will be acquitted. How can her family tolerate this? And how should the investigating detective, Terry Bateson, act when it seems that the murdered girl’s mother is seeking revenge on the man he is certain killed Shelley in the first place? A compelling read by legal thriller writer Tim Vicary. The murder of Shelley leads to the arrest and trial of David Kidd. The trial does not go as planned as he is freed. 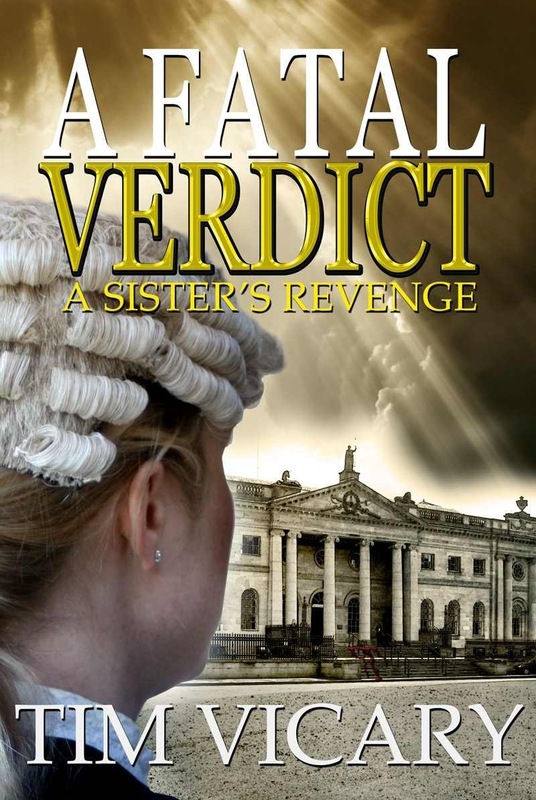 Retribution by a family member leads to Kathryn Walter’s Shelley’s mother being put on trial for Kidd’s murder, can justice be done the second time around? The courtroom scenes are the best of British legal drama by this author and I look forward to reading the next Sarah Newby Book. I was frustrated at the start of the book that the evidence of wine glasses weren’t processed by SOCO but perhaps I have been watching too much CSI? Also Will Churchill, a truly vile character in the book keeps threatening to send DI Bateson to traffic who are a specialty and not actually easy to get into, especially with current road policing cutbacks due to Paragon.